Chris began his career in medicine as a chiropractor that thought homeopathy, like one of his favorite homeopaths and authors James Compton Burnett stated, was “ridiculousness made difficult.” After seeing the correct remedy in action, he quickly changed his mind and has spent the last decade in deep study of the homeopathic art. He has always spent much of his day treating children but over the last five years his practice has shifted largely towards complex cases including chronic infections, cancer, and autism. He loves his work, and loves to continue to study herbs, homeopathy and medicine daily. Chris lives in Ashland, Oregon with his wife Samae, a budding filmmaker, and their two children Hazel and Cedar. His family is perhaps the only things he loves more than homeopathy. They spend their weekends in the outdoors; skiing, climbing and biking. They recently bought a 2016 school bus, which they are converting into a home on wheels for trips around the west. 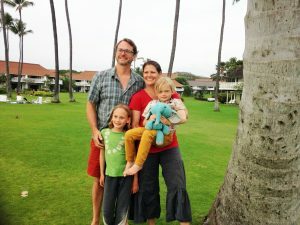 This last winter Chris and his wife started The Solstice Clinic, a free homeopathic clinic treating the homeless and underserved people of Southern Oregon. They plan on expanding their vision to provide more care to the people that need it the most in the upcoming years. Their dream is to use their bus to be able to travel to disaster sites and provide natural medicine to those suffering. Chris began his studies with NESH at our 2010-2011 Course in Seattle, WA. Since 2011 he has been a frequent participant at our Clinical Class Weekends for NESH Alumni on both the East and West Coasts. His knowledgeable, friendly, and engaging nature has made him a welcomed addition to NESH’s participation at west coast ND conferences where he is able to speak with practitioners and ND students about what NESH has to offer from his own extensive experience. • This last year has been working in conjunction with Deborah Frances, ND on an ongoing series of articles showing the efficaciousness of homeopathy and herbs in difficult cases. Plans for co-teaching classes with Deborah on acute prescribing. 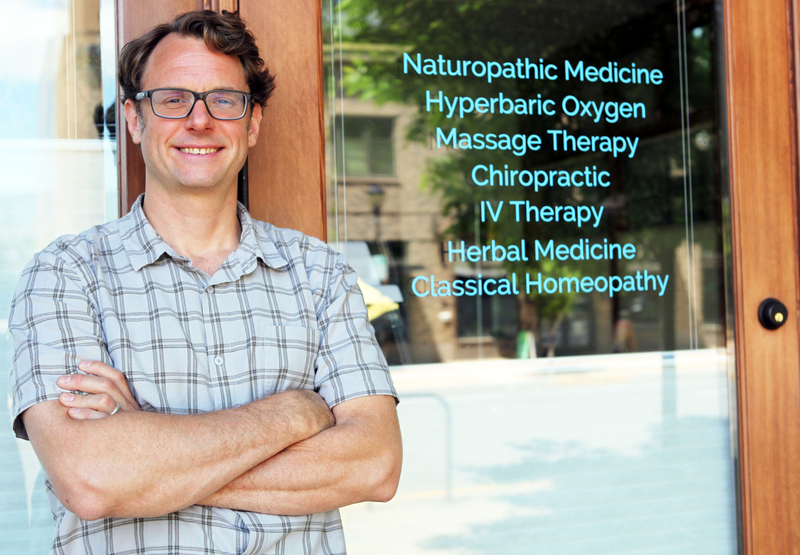 • Chris has also enjoyed teaching neurology at the local massage school for the last five years. Chris is our July 2018 Featured Alumnus. Return to NESH Alumni Spotlight page to learn about other distinguished NESH alumni.